The printed wristband is the most economical wristband style. 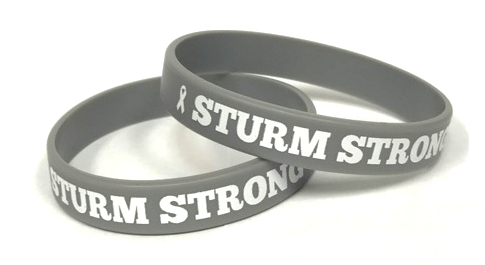 Printed wristbands feature a custom message or artwork printed directly onto the silicone. It is important to note that nothing can protect the ink from daily wear and tear, such as showering, swimming, or friction from skin and clothing. If you wish to order wristbands you plan on wearing daily, we recommend our ink-injected, debossed, or embossed bands since the ink won’t be as easy to wear down.